Robert W. Keyser is the managing member of the firm. His practice involves the representation of real estate tax lien investors and commercial lenders in lien foreclosures, transactions involving lien portfolios, loans, bankruptcies, and related litigation He represents a broad range of businesses, commercial lenders and individuals in real estate and business transactions, commercial lending, work-outs and bankruptcy-related issues. His business practice includes representation of closely-held corporations, partnership and limited liability companies. Mr. Keyser received his Bachelor of Arts degree from Lafayette College in 1977, and his Juris Doctorate from the Rutgers University School of Law at Camden in 1982. He is admitted to practice before the State and Federal Courts of New Jersey and Pennsylvania and the United States Court of Appeals for the Third Circuit. Mr. Keyser is a member of the Corporate and Business Law, Real Estate, and Bankruptcy and Banking Law sections of the New Jersey Bar Association, and the Pennsylvania Bar Association. He lectures on bankruptcy and real estate issues, government-backed lending programs, and issues which confront tax lien investors and their lenders. Mr. Keyser is a member of the Board of Directors and President of the National Tax Lien Association (NTLA). He also heads the NTLA Foundation, which is the charitable arm of the NTLA. In 1995, President William Clinton appointed him as a delegate to the White House Conference on Small Business, where he specialized in issues of capital formation and availability. In 2010, he was appointed by Governor Chris Christie to the Board of the New Jersey Tax Lien Finance Corporation. Since forming his present firm in 2007, and in prior associations dating back to 1997, Mr. Keyser has handled thousands of tax foreclosures and numerous commercial mortgage foreclosures. He has closed hundreds of real estate transactions, from $5000 bank REO sales to $30,000,000 multi-state transactions. He has appeared for lien holders and lenders in countless Chapter 11 and Chapter 13 bankruptcy matters. He represents construction contractors in collections, including enforcing construction lien claims. He also handles commercial litigation and residential and commercial landlord/tenant actions. In his prior associations, including at Kaplan Stewart, Wolf Block, and Dilworth Paxson, he prosecuted tax and commercial mortgage foreclosures, participated in real estate transactions, and represented banking institutions in their collection and bankruptcy litigation. Robert W. Keyser has handled a number of appeals, some of which have resulted in reported decisions, arising out of real estate related cases. They include the Supreme Court decisions in Simon v Rando, Malinowski v Jacobs, and CoreStates v Schaeffer Salt, and the Appellate Division decisions in Phoenix Funding v Krute, Realty Asset Properties v Oldham, Coryell LLC v Curry, and before the 3rd Circuit and New Jersey Supreme Court in Princeton Office Park where he represented amicus curiae National Tax Lien Association. He has also represented the NTLA as an amicus party before the Appellate Division in the MACWCP v Motiva matter, and currently before the New Jersey Supreme Court in Cherokee v City of Linden Planning Board. He resides in Haddonfield, New Jersey with his wife, Denise. He has four children who come home occasionally. 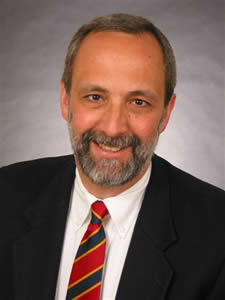 Jeffrey B. Datz has been of Counsel to the firm since 2013. He represents a broad range of businesses, real estate lien investors and individuals in commercial litigation including foreclosures, title and title insurance disputes, construction litigation and landlord-tenant matters in both the Commonwealth of Pennsylvania and State of New Jersey. Mr. Datz has handled a number of appeals, arising out of real estate related cases. Recently, he drafted an Amicus Brief on behalf of the National Tax Lien Association before the Appellate Division of the Superior Court in New Jersey in the MACWCP v. Motiva matter. He is also asked to provide guidance and support to manage corporate formation, planning, governance and general transactional advice. Mr. Datz collects and enforces money judgments. Mr. Datz prepares and files documents to seize and/or garnish assets and dockets foreign judgments in both Pennsylvania and New Jersey. 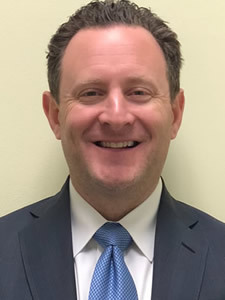 Mr. Datz received his Bachelor of Arts degree from the University of Michigan in 1997, and his Juris Doctorate from the Temple University Beasley School of Law in 2000. While at Temple Law, he was Managing Editor of the Political and Civil Rights Law Journal. He is admitted to practice in the Commonwealth of Pennsylvania, the State of New Jersey, the United States District Court for the Eastern District of Pennsylvania, the United States District Court for the Middle District of Pennsylvania and the United States District Court for the State of New Jersey. Mr. Datz has a wide array of legal experience spanning his seventeen years as an attorney. His peers have bestowed the honor of recognizing him as a Pennsylvania Rising Star on multiple occasions. Mr. Datz began his legal career as an Assistant District Attorney in Philadelphia, Pennsylvania, where he prosecuted thousands of criminal defendants for crimes ranging from simple misdemeanors to serious felonies, including firearm crimes, burglary, robbery and drug trafficking. Mr. Datz is a member of the Philadelphia Bar Association. For the past six years, he has served as a Team Leader and Investigator for the Investigative Division of the Philadelphia Bar Association’s Commission on Judicial Selection and Retention. The Commission evaluates judicial candidates to help voters make decisions about candidates for judicial office. He resides in the Greater Philadelphia area with his family. 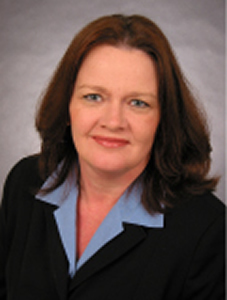 Debra Morgan, a New Jersey Certified Paralegal, specializes in the firm’s tax foreclosure practice. She is responsible for managing New Jersey tax lien portfolios for institutional and individual investors from lien acquisition through foreclosure and property sale. Ms. Morgan brings over twenty-five years of experience to the firm in a broad range commercial lending, real estate and business-related matters. Ms. Morgan first earned her legal assistant certificate in 1984, where she graduated first in her class. She earned her paralegal degree in 2005, where she remained on the President’s List in the recognition of academic excellence for the duration of her education. In addition, she served as a member of the Paralegal Advisory Board at Gloucester County College.